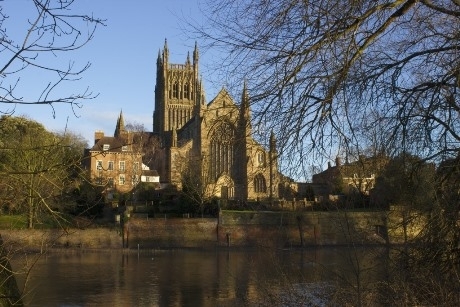 A Centre for Learning, Heritage and Arts is being created after Worcester Cathedral received a £1.2m National Lottery grant for developments. The Heritage Lottery Fund has given the project funding for the Cathedral to devote to the progression of the historic venue’s learning, arts and heritage offering. In order to make the cathedral more accessible for all abilities, a lift will be installed too. The development project is expected to be complete in 2020. The project involves converting the 12th Century Medieval Undercroft, bringing it into public use for the first time. Proposed plans for the Undercroft include creating two teaching rooms, visitor storage space, a reception area and more toilet facilities. The idea behind using the newly refurbished facility as an education centre will be to support the local community as well as the younger generation including schools, with learning. There is already a range of options for school trips to the cathedral. The education programme for the summer term includes History Norman Study Days, suitable for Key Stage 4 groups and Reformation Study Workshops, to name a few. A variety of events for schools take place throughout the year, and teachers planning ahead should keep an eye out for new dates announced for next term. A visit can tie in with History and Religious Education and all Key Stages are welcome. Teachers can call 01905 732 919 to book a school visit. For more information, visit www.worcestercathedral.co.uk.